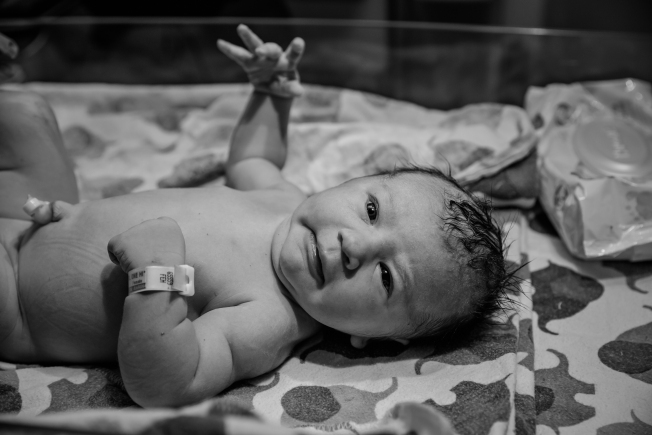 our birth story goes a little something like this: thursday night at 10pm I got up to go to the bathroom over and over again, I had never peed this much my entire pregnancy so I knew something was going on. by 10:15pm contractions had started, they were intense and only about six minutes apart. we laid in bed, A rubbed my back and reminded me to breathe. we labored at home until 2:00am. when we got to to the hospital they checked me, I was only 1cm dilated. the doctor who was on call was sleeping so we labored until 7am when the midwife started her shift. the midwife decided to induce labor since I was contracting but not dilating. the foley balloon was placed at 9am. at 2pm it came out and I was a generous 6cm dilated. [i had no pain after the balloon was placed] we waited another hour or two to see if I would dilate on my own but didn’t so they started pitocin. pitocin didn’t work at all so the next step was to break my water. at 6pm my doctor walked in and broke my water and by 6:15pm I was asking for an epidural. after the epidural, [which they placed TWICE] I felt great but obviously exhausted so I hung out, relaxed, and slept. 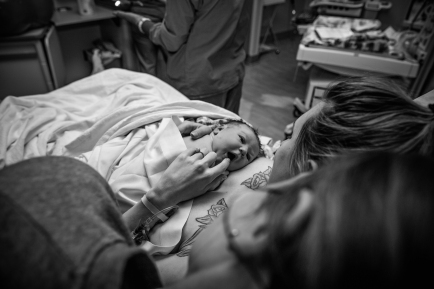 around 2:15am I felt pressure and the urge to push, I was ready and anxious to meet our little girl. I pushed for thirty minutes and out came carter girl! as soon as she was placed on my chest she pooped everywhere. she was was silent and I started to panic, I asked the doctors if she was breathing and they said yes, she’s just a quiet one. 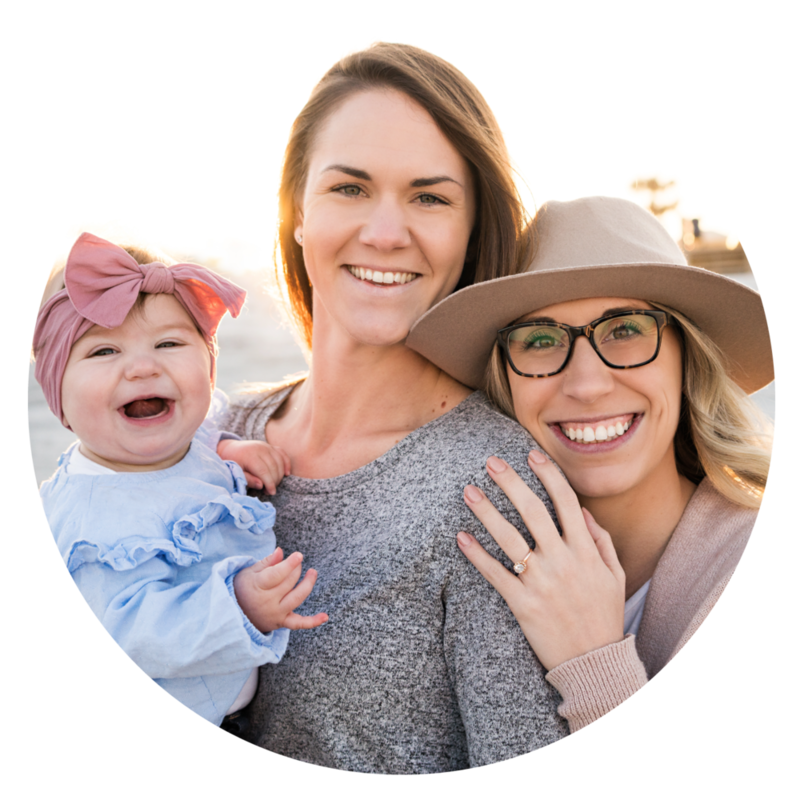 I started talking to her, I told her she had two moms and she let out her first little cry, we couldn’t help but laugh [we told her having two moms was going to be awesome] she then did skin to skin with A and also pooped everywhere [A’s belly button caught most of it]. after all the chaos and cleanup I got to snuggle and nurse our little girl and all felt right in the world.